A most commonly prescribed cancer drug in the market has been made generic by the US Food and Drug Administration (FDA) after the generic drug maker and the brand-name has brought its dispute over patents to end past year. A request made by India based Sun Pharmaceutical Industries Limited subsidiary for the production of a generic version of Gleevec (imatinib mesylate) has got the FDA approval. Gleevec is generally prescribed medication for patients who have chronic myeloid leukemia (CML). It is also called chronic myelogenous leukemia, and is steadily progressive, though it can transform into an acute type also. New Delhi: Drug major Dr Reddy's Laboratories on Thursday reported 7.09 per cent decline in its consolidated net profit at Rs 574.53 crore for the quarter ended December 2014. Revenue from the global generics segment also grew 7.81 per cent to Rs 3,169.22 crore in the third quarter of FY15. It was Rs 2,939.58 crore in the same period of previous fiscal. New Delhi - Drug firm Dr Reddy's Laboratories has launched generic Paricalcitol capsules used for treating secondary hyperparathyroidism associated with chronic kidney disease in the American market, following approval by the US health regulator. The company has launched paricalcitol capsules in the US market in the strengths of 1 mcg, 2 mcg and 4 mcg on June 24 after getting approval from the United States Food and Drug Administration (USFDA), Dr Reddy's said in a statement. The product is generic version of AbbVie Inc's Zemplar capsules, it added. Dr Reddy`s Laboratories Ltd is recalling 13,560 bottles of the high blood pressure drug metoprolol succinate in the United States after it failed a dissolution test, the U. S. Food and Drug Administration said. Metoprolol succinate extended release is a cheaper generic form of AstraZeneca Plc`s Toprol XL. Wockhardt Ltd also recalled 109,744 bottles of the same drug last month citing the same reason. The recall was voluntarily started by Dr Reddy`s on May 23, 2014, and posted on the FDA website on Thursday. A Dr Reddy`s spokesman did not immediately respond to a request for comment on the recall. Stock in Dr Reddy's Laboratories gained more than 1 per cent on Friday; a day after the company announced the launch of a therapeutic equivalent generic version of Dacogen called Decitabine for injection in the U. S. market. Dr Reddy's Labs said it launched Decitabine for injection as 50mg single dose vial, after obtaining the approval of the U. S. Food & Drug Administration (USFDA). During the twelve months ended July 2013, the Dacogen brand recorded sales of around $260 Million MAT in the U. S.
Pharmaceuticals giant Dr Reddy's Laboratories Ltd on Tuesday reported an impressive increase of 66.6 per cent in its quarterly net profit, thanks to strong sales in North America and emerging markets. Dr Reddy's said its net profit jumped to Rs 571.01 crore in the quarter ended March 31, 2013, from Rs 342.70 crore in the corresponding period of the previous year. Dr Reddy's Laboratories have said that its board of directors have appointed G V Prasad as the new chairman of the Indian pharmaceutical giant. G V Prasad, who is the son-in-law of Anji Reddy, has been working as the vice-chairman and chief executive officer (CEO) of the company. Prasad will continue to work as the CEO of the company. The company has also said that it has appointed K Satish Reddy as the new vice-chairman and he will continue in his existing roles as managing director and chief operating officer. Kallam Anji Reddy, the founder of Dr Reddy's Laboratories, has passed away on 16 March 2013 at Hyderabad's Apollo Hospital. The company said in a filing with the Bombay Stock exchange (BSE) that that the offer will be closed on February 8, 2013. Dr. Reddy’s has agreed to pay €0.52 a share of Dutch firm OctoPlus. Shares in pharmaceutical giant Dr Reddy's Laboratories Ltd gained more than 3 per cent on Wednesday, a day after the company announced strong trading figures for the three months ended September 30. In the morning trading today, the drug maker's shares gained as much as 3.2 per cent to Rs 1763.30. At one point of time, the stock hit a low of Rs 1732. Brokerage House CLSA has given a buy call for Jain Irrigation. The company is into agriculture sector and offers irrigation solutions. There is an increase in demand for cost saving irrigation systems and Jain Irrigation is a pioneer in the sector in Indian market. Brokerage house CLSA has given a target price of Rs 150 for Jain Irrigation. The analysts have expressed positive views about the reduction of debt for the company. With earnings upgrade, the current market price for the stock looks undervalued. Indian pharmaceutical major, Dr Reddy's Laboratories is planning to launch as many as 15 to 16 new products in the Us market in the year. The expanded product line is expected to contribute about one-third to its revenues. The company had launched 12 products in the US market in the previous fiscal year and has generated about Rs3,189 crore in revenues. Satish Reddy, the company's chief operating officer said, "There are going to be some interesting products. This year is a busy year and there are quite a few launches." 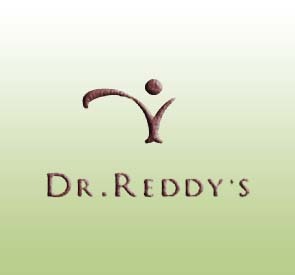 Indian pharmaceutical major, Dr Reddy's Laboratories has reported a rise of 2.46 per cent in consolidated net profit to Rs 342.70 crore for the fourth quarter for the financial year till March 2012. Indian drug manufacturer Dr Reddy's Laboratories has bagged nod from U. S. Food and Drug Administration for marketing ibandronate sodium tabs utilized to cure osteoporosis. The pills are the generic edition of Boniva, a product sold by a unit of Swiss drug manufacturer Roche. Cipla, another Indian drug manufacturer, bagged U. S. authoritarian authorization for AIDS treatment medicine nevirapine. The medicine is a generic edition of Boehringer Ingelheim's Viramune tabs. Indian drugmaker Dr. Reddy’s has reported an impressive 88 per cent rise in net profits in the thrd quarter of the year till December 2011 backed by high sales of schizophrenia drug Olanzapine in the US. Dr Reddy's Laboratories has announced that the strike at its manufacturing unit in Srikakulam, Andhra Pradesh by contract-based workers has ended and operations have resumed. The workers were striking for various demands since August 12. The production in the unit was affected after the company reduced the number of contract workers to 85. The contract workers did not accept a wage agreement on November and continued their strike at the unit of the pharmaceutical major. Dr Reddy's Laboratories and Brisbane-based Alchemia Ltd publicized that the US Food and Drug Administration (USFDA) has finally sanctioned the launch of their Fondaparinux Sodium injection. These injections are a bioequivalent standard version of Arixtra and on July 11, they will be entering the US market as the company-supply was 3 %higher.